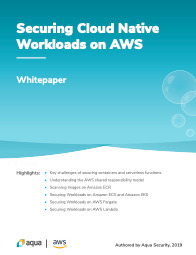 This white paper describes the shared responsibility security model and what's needed to secure workloads on Amazon ECS, EKS, Fargate and Lambda. Learn how Illusive's customers are using ASM to stop the spread of credentials and connections, preemptively hardening the network. 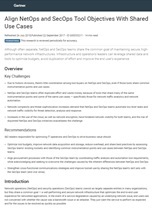 In this report, Gartner recommends best practices for container production environments, covering security, compliance and governance. 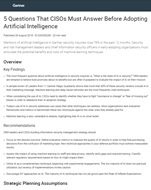 Learn Gartner's recommendations for vetting artificial intelligence systems and seeing through the marketing fluff around overhyped AI tech. 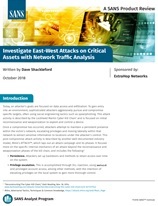 This SANS Institute review tests out a workflow for investigating attacks using Reveal(x) Network Traffic Analysis for the enterprise. 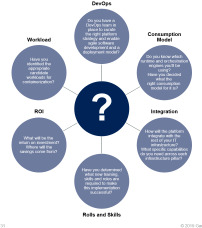 Learn Gartner's take on how to get more value out of Sec Ops and Net Ops by aligning their initiatives. 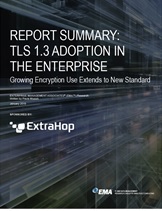 Read the new research from EMA on how encryption is impacting enterprises, and how they're preparing for even further transformation due to TLS 1.3 and perfect forward secrecy.